Disney (DIS) has finally broken out to new highs as the Fox (FOX) acquisition, and its streaming initiatives come into the fold. Now that the Fox acquisition is complete and its assets are being absorbed by Disney this once opaque situation now appears clear and definitive. Furthermore, Disney is divesting its 39% Sky ownership stake that it acquired via the Fox acquisition to Comcast (CMCSA). This divestiture enables Disney to reduce its debt that was required to purchase the Fox media assets and will allow more investment into its streaming services such as Hulu, ESPN Plus and its Disney branded streaming service that will directly compete with Netflix (NFLX) in 2019. The Fox acquisition brings a majority stake in Hulu (60% ownership) while its ESPN Plus launched earlier this year and has over 1 million subscribers in its early phases of being rolled out. Disney continues to dominate at the box office while posting great growth at its theme parks translating into robust and durable revenue streams. The company is evolving to meet the new age of media consumption demands of the consumer via streaming and on-demand content. To this end, shareholders are beginning to resonate with Disney’s vision for future growth and the stock has appreciated to a 52-week high as of late-breaking above the $118 level. Disney currently trades at a P/E of 14.5 while the average stock in the S&P 500 trades at ~25, representing a ~40% discount to the average stock in the index. Disney offers a compelling long-term investment opportunity given its backdrop. ESPN Plus was launched earlier this year in April to a mixed skeptical reception among shareholders and consumers upon its debut. Due to precipitous declines in ESPN viewership via traditional cable, Disney was cornered to remediate its ESPN business and evolve to the cord cutting consumer. Recently, Disney announced a key milestone for its streaming platform, reaching over 1 million paid subscribers. ESPN is Disney’s first inroads into the streaming arena offering a package of sports which include Major League Baseball (MLB), National Hockey League (NHL), college football, soccer, boxing and UFC for $4.99 per month. Disney has kept its ESPN Plus subscriber numbers a secret and would only state that its paid subscriptions were "strong" and that growth was surpassing expectations. "Reaching one million paid subscribers is an important milestone for any video subscription service, but reaching this benchmark in such a short amount of time is an incredible testament to the teams from DTCI and ESPN who have worked tirelessly to bring this product to market and continually improve it since our April launch," said Disney Direct-to-Consumer and International Chairman Kevin Mayer. Hulu's live TV service, which launched in May 2017, has over 1 million subscribers, roughly a year and four months after the debut of the streaming service. Collectively, Hulu has more than 20 million U.S. subscribers. Consumers are awaiting Disney's stand-alone streaming service in 2019, which will include Pixar, Marvel, Disney, Lucasfilm, and National Geographic content. Collectively, Disney’s streaming initiatives are bearing fruit, and as Bob Iger stated in a recent interview, its streaming efforts are a marathon, not a sprint. ESports has become a phenomenon all over the world where audiences watch others compete in video gaming. ESPN’s recently launched ESPN Plus streaming service is broadcasting live coverage of several League of Legends competitions. ESPN will stream the summer finals in September and then the League of Legends World Championship later in the fall. ESPN via e-sports will likely draw in more subscribers to its newly launched ESPN service. Riot Games says that the 2017 Leauge of Legends World Championship drew “80 million unique viewers tuning in for a single match.” Fans of the game watched over 1.2 billion hours of video during the event. Riot and BAMTech, the division of Disney that built the technology behind ESPN Plus signed a $300 million deal in 2016 to have BAMTech stream League of Legends competitions. Recognizing this trend and increased popularity in eSports, ESPN signed a multi-year deal with Activision Blizzard (ATVI) for TV rights to the Overwatch eSports league. This deal brings the Overwatch League playoffs and finals to ABC, ESPN, ESPN 2 and Disney XD. ESPN and Disney network subscribers also will be able to stream the matches live on the ESPN App and DisneyNow. "The Overwatch League Grand Finals is by far our most comprehensive television distribution for an esports event over a single weekend: 10 total hours over four networks and three days," said Justin Connolly, a marketing vice president for Disney and ESPN Media Networks. It will mark the first time eSports have aired on ABC and the first time ESPN has carried the event in primetime. As previously mentioned, competitive gaming draws huge audiences, more than 360 million people watched a live stream of a 2017 "League of Legends" eSports competition. The Overwatch League is a global event, with teams from throughout Asia, Europe, and North America. The first team to win two best-of-five matches takes home the Overwatch League trophy. It also gets the lion's share of the $1.4 million Grand Finals prize pool. The esports league was built around the popular video game "Overwatch" from Activision's Blizzard Entertainment division. Disney has established great partnerships in this growing eSports segment (League of Legends and Overwatch) which may provide another untapped avenue of growth within its Media Networks segment as part of its overall remediation plan. The Department of Justice approved the Disney’s $71 billion acquisition for 21st Century Fox thwarting Comcast’s (CMCSA) attempts for the Fox assets. The government’s approval came with conditions that Disney must divest all of Fox’s 22 regional sports networks. 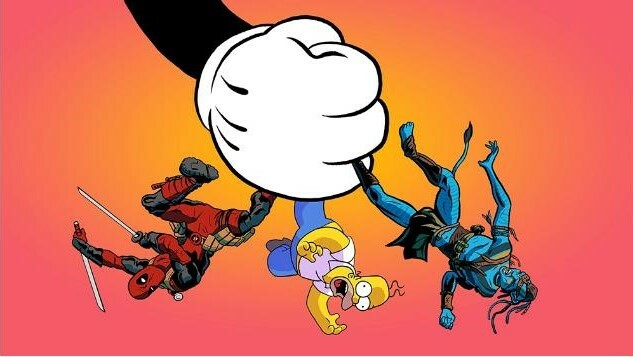 Disney and Fox easily gained approval by shareholders on their $71.3 billion acquisition during the shareholder voting that was held in July. Disney will acquire properties such as Avatar, the X-Men movies, Titanic and TV shows such as The Simpsons and This Is Us (Figure 1). The acquisition also gives Disney the cable networks FX and National Geographic; a controlling stake in the streaming service Hulu, which has more than 20 million subscribers. Bloomberg Intelligence analysts Geetha Ranganathan and Paul Sweeney note that Disney will have 60% ownership of Hulu. The analysts say Hulu might finally be rid of the “messy ownership structure that has plagued it all along” and Comcast could still choose to sell its 30% interest. Buckingham Research analyst Matthew Harrigan says his firm doesn’t think it “makes sense” for Comcast to hold onto its Hulu position just to block Disney from having 90% ownership. Harrigan says there can be multiple winners in the direct-to-consumer market and that it will prove “essential” for Comcast and Sky to “work amicably” with Disney, particularly Disney’s DTC products like Disneyflix and ESPN. Harrigan notes that both Comcast and Disney have to compete with the likes of Netflix, Amazon, and Apple, so it “makes no sense” for Comcast to be an albatross to Disney. Disney (DIS) has broken out to a 52-week high on the heels of its streaming growth initiatives and the Fox acquisition now complete. Streaming via Hulu, ESPN Plus and direct to consumer Disney branded streaming service coming in late 2019 are major catalysts ahead. ESPN Plus has already attracted over 1 million paid subscribers in its early phases of launch. Disney’s posted robust growth at the box office and theme parks with its Media Networks remediation plan in the backdrop. The Fox acquisition brings in properties such as Avatar, the X-Men movies, Titanic and TV shows such as The Simpsons, cable networks FX and National Geographic; a controlling stake in the streaming service Hulu and divestiture of Sky. Divesting its Sky stake enables Disney to decrease its debt load to acquire Fox’s media assets and make further investments in the streaming arena. Disney is an inexpensive stock currently trading at a P/E of 14.5 representing a 40% discount to the average stock. Disney offers a compelling long-term investment opportunity for the long-term investor.